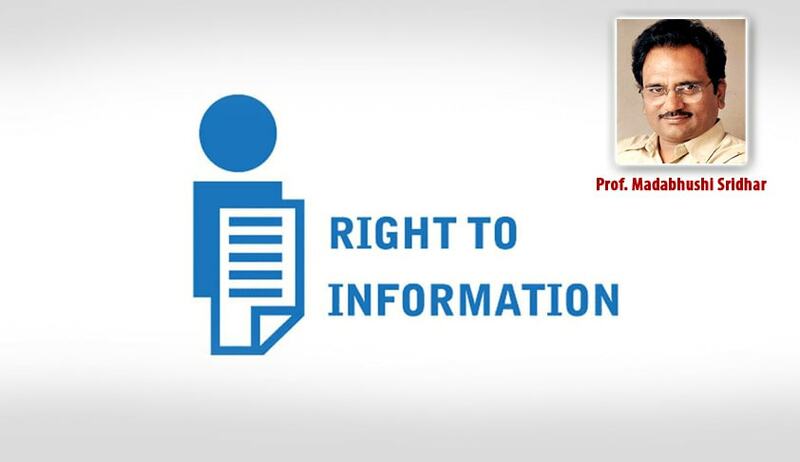 RTI without Right to Redressal ? Even as RTI Act completed 10 years, the universe has completed eight hundred years of magna carta [Article 61 of the Magna Carta (originally known as the Charter of Liberties) of 1215. Magna Carta means "the Great Charter", also called Magna Carta Libertatum (Latin for "the Great Charter of the Liberties")]; which agreed on an individual’s right to something against the powers that be. It was a peace treaty between the King and the rebel barons, which failed but it provided a new framework for the relationship between the King and his subjects. It has become a potent, international rallying cry against the arbitrary use of power. Most of the 63 clauses granted by King John dealt with specific grievances relating to his rule. The RTI has changed relationship between the citizens and the government. The right to petition the government for redress of grievances is a significant right. But this right did not become statutory right as the Governments are still hesitating to provide. Right to Service legislation, which are supposed to reduce corruption among the government officials and increase transparency and public accountability. Madhya Pradesh enacted Right to Service Act on 18 August 2010 and Bihar was the second to enact this bill on 25 July 2011.Several other states Bihar, Delhi, Punjab, Rajasthan, Himachal Pradesh Kerala, Uttarakhand, Haryana, Uttar Pradesh, and Jharkhand have introduced similar legislation for effectuating the right to service to the citizen. These laws commonly grant of "right to public services", which are to be provided to the public by the designated official within the stipulated time frame. Some of the common public services which are to be provided within the fixed time frame as a right under the Acts, includes issuing caste, birth, marriage and domicile certificates, electric connections, voter’s card, ration cards, copies of land records, etc. Similar to RTI Act, this law also provide for aggrieved to approach first appeal authority and then Second Appellate Authority. How do we ask without any guaranteed right to ask? Right to ask is basic, and thus right to petition is also a basic need. Petitioning is equated with questioning, or challenging the authority of Emperor. Kings considered it as seditious libel. It’s a complaint against the royal rule. They looked down the seeker of something. The people should take whatever is given, should not ask. Right to demand was unimaginable in dictatorship regimes world over. When right to petition was first contemplated the human rights as an idea or a provision of law was not known. Magna Carta did not remain the same, some are deleted, some were rewritten, most of them repealed. Still it remains cornerstone of the British Constitution. Only three clauses of the 1225 Magna Carta remain on the statute book today. Prior to Magna Carta 1215, petitioning was equated with questioning, or challenging the authority of Emperor. Kings considered it as seditious libel. It’s a complaint against the royal rule. They looked down the seeker of something. The people should take whatever is given, should not ask. Right to demand was unimaginable in dictatorship regimes world over. “…the peace and liberties we have granted and confirmed to them by this our present Charter, so that if we … or any one of our officers shall in anything be at fault towards anyone, or shall have broken any one of the articles of this peace or of this security, and the offence be notified to four barons of the foresaid five and twenty, the said four barons shall repair to us and, laying the transgression before us, petition to have the transgression redressed without delay..”. Part of right to freedom of speech: Right to petition is important even today during these modern days of democratic rule of law. Most appropriately the right to information is an added value to that eight hundred year old right to petition. Right to dissent: Right to petition embraces the right to express dissent since it reflects the spirit of liberty. It cannot be denied and its denial will be considered as degradation. Seeking information is basis for filing petition and sometimes petition becomes primary, action about which can be sought under RTI Act. The RTI does not specifically mention that it could be used for redressal of grievances. But interestingly the citizens and employees are using it for that purpose also. In the absence of assured right to petition or services, the RTI became only resort to seek services and compensation for the lack of access to services. Professor Madabhushi Sridhar is a Columnist, Media Law Researcher and Central Information Commissioner. Read his earlier Column on LiveLaw here.